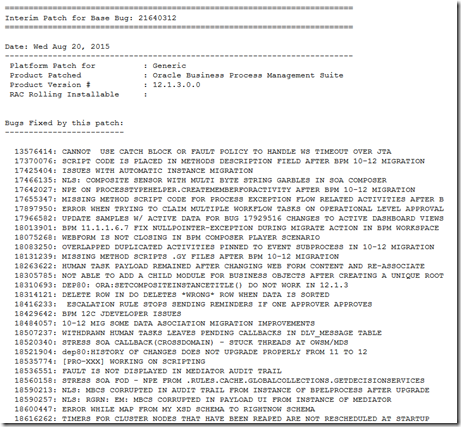 On August 20th, the fourth Bundle Patch (patch id 21640312) was released for BPM Suite 12.1.3. The notes unfortunately specify: This patch is mutually exclusive with all SOA Bundle Patches after SOA Bundle Patch 1. For example, if you attempt to apply this patch on top of SOA Bundle Patch 2, all fixes from SOA Bundle Patch 2 will be rolled back. 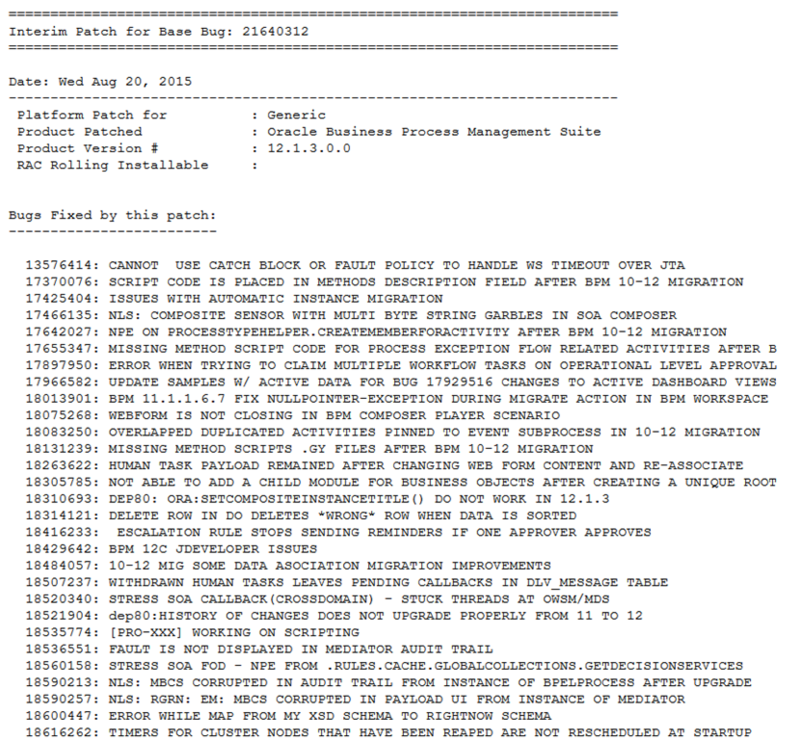 Details on this Bundle Patch are available from Oracle Support: BPM 12c Bundle Patch Reference (Doc ID 1983445.1).